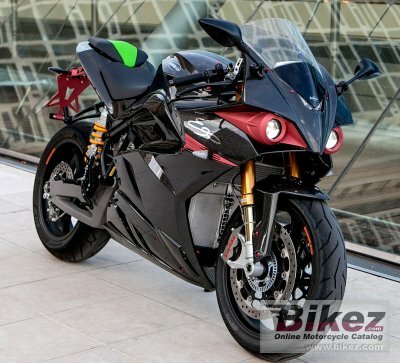 2016 eCRP Energica Ego 45. Picture credits - eCRP. Submit more pictures. The Ego45 is a revolution in the concept of luxury: a unique version of the Italian electric superbike celebrating the 45th anniversary of its manufacturer, CRP Group. Frame type: Steel tubular trellis. Aluminium alloy swing arm. Wheels: Oz forged aluminum. Pirelli Diablo Rosso II tires. Comments: Italian brand. Small windshield. 11.7 kWh battery. Range 150-190 km. Charges to 85% in 30 minutes. Rear-wheel lift- up mitigation system. Switchable ABS. Park-assistant. Ask questions Join the 16 eCRP Energica Ego 45 discussion group or the general eCRP discussion group. Bikez has reestablished Bikez.info motorcycle web shop overview. Here we present the major online shopping possibilities for motorcycle parts, gear and accessories. This includes customizing and insurance. Search and compare products and prices. Try our 2016 eCRP Energica Ego 45 discussion forum if you have questions or comments. Information about any technical issue is always welcome.